The ineptitude of a leader is reflected in the choices and decisions they make. 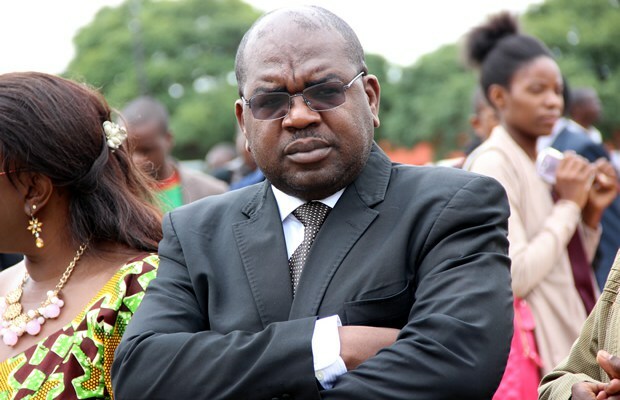 Chitalu Chilufya, the corrupt minister of health bulldozed the National Health InsurancNational Health Insurance (NHI) bill in parliament which was signed into law last year in April (2018). Let us zoom in on the appointees as stipulated in the NHI Bill (not Act, as no changes were made!). You can refer to the National Health Insurance Act No.2 of 2018. First of all, a few abrogations have been made in the appointments: 1) The Vice Chairperson has been appointed by “Mr. Ineptitude” and not elected by the board members from among their number. 2) Which organization has the ZRA Director General represented? It is not mentioned in the Act! 3) HPCZ, an organization despised by his party and blamed for the loss of the Sesheke seat has been left out. Chitalu should tell us why. We know what happened. 4) PSMD appointee is not mentioned in the Act. 5) The professionals representing the insurance companies have no experience in health insurance and therefore are not in line with the Act. 6) Accountant General is not provided for in the Act and doubt if ZICA adjudicated their seat to a government employee. If this is not impunity, can somebody tell us why a minister is abrogating provisions of the law? We are not surprised because this is a man who purchased expired drugs from his Chinese friends that affected many Zambians. He bought ambulances at equivalent prices of a “normal “ fire tender. Why are these people on the NHIMA Board? i) Chairperson- Fredson Yamba is the Current Secretary to the Treasury responsible for the government treasury. Since the vaults are dry, Yamba comes in handy to replenish it by fraudulently siphoning sick people’s money to fuel this corrupt Lungu regime. ii) Vice Chairperson- Kingsley Chanda. The taxman, whose appointment to this board is not backed by the law, has come to confirm the fears of ZCTU and Zambia Federation of Employees (ZFE) that NHI is just another tax! Chanda, who has ruthless tactics in collecting taxes from the poor Zambians will be used in effecting the NHI tax! This is the reason why Chitalu has excluded any health professionals in the board, more prominently the doctors association and HPCZ, and conveniently replaced his doctor PS with a person who has expertise in construction. A person with no technical know how in health care services let alone health claims. iii) As a matter of fact, the initial names announced did not have any medical doctor on it. Most people are not even aware that within a space of 24hrs, the Ministry of Health released two Press statements on the NHIMA board. The first one had a slot for an officer from PSMD (PS Chimbwili’s name wasn’t there), and the other slot was for an officer from the National Union of Private and Public Educators, which has been scraped out already. To correct the anomaly, Chitalu appointed Dr. Kennedy Malama fraudulently as Ministry of Health only has 1 slot on the board. Malama is the PS for Technical Services and is appointed to the board on an MoH ticket which does not exist. He is also the HPCZ Board Chairperson but HPCZ is supposed to be represented by someone in management and not a board member who is not involved in the management of the institution, meaning HPCZ has no legal representation on this National Health Insurance Management Authority Board. This is pure ineptitude and impunity wrapped in a banana peel to slide the small minds of cadres who believe that the best Lungu replacement lies in this individual who failed medical school but only got saved by the motherly love of one senior doctor who we cannot mention. And in case you are wondering the real reason for the cancellation of the HPCZ licensure exams, here is your answer because of the Post-traumatic stress medical school exams instils in this inept leader! Apart from appointing a NHIMA board full of characters who are not defined by the law through the NHI Act, it is very evident that Chilufya will simply use the board as a rubber stump for his corrupt government’s agenda, and there is no one on the board with expertise in Health Insurance making it an incompetent board from the beginning. You can see, he is already saying the stakeholders have already agreed on a 1% to be paid by the employers and employees. I thought the board is supposed to sit and review the actuarial reports which where done. Chitalu should explain where he got that 1% and which actuarial report states that. At 1%, the National Health Insurance is bound to fail.